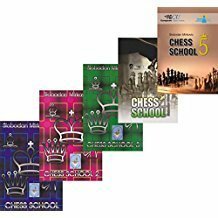 The books in the “Chess School" series emerged gradually in the time span of twenty years. They are a result of years of work of the author with his students, some of whom are GMs Nikola Sedlak, Bojan Vuckovic and Milos Perunovic. The first book was published in April 2005 in Serbian language; in September of the same year it was published in English and was the official book of European Youth Chess Championship in Herceg Novi. “Chess School" (part one) is the first official book of European Youth Chess Championships in the history of chess! The second book saw the light in April 2006 in Serbian language and in September at the European Youth Chess Championship it was also the official book of the Championship (the English version of the book). The third book was published in July of 2008 in Serbian language. In September of that year "Chess School 3" was printed in English and was the official book of European Youth Chess Championship in Herceg Novi. In the first part of the book all pawn endings are divided into elements, and the purpose of this division is to facilitate the learning of the final phase of the game. 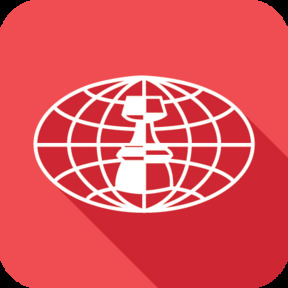 The basic principles and patterns have been highlighted and errors and inaccuracies found in other chess books have been corrected. Particularly interesting is the lesson "The transition to other types of endings", which explains the positions in which one side can achieve a victory or a draw only by promotions of a pawn into a knight, bishop or rook. "Wonderful world of chess combinations" represents a new system of classification of combinations. This new system of classification of combinations was theoretically explained for the first time in the information system of "Chess Informant". The basis of the new theory stems from Botvinnik’s definition of a combination. “A combination is a forced manoeuvre or manoeuvres combined with a sacrifice as a result of which the active side gains an objective advantage”. We have presented combinations in which a pawn, knight, bishop, rook and queen are sacrificed. The third part of the book consists of "strategic motifs". Presented in detail here is a new way of analyzing games of chess masters, which consists of recognizing the main idea and focusing on it. Particular attention is devoted to the lesson "Evacuation of the King", in which the manoeuvring capabilities of the king in the endgame and the middlegame are explained. I met the author of the book, international chess master Slobodan Mirkovic, at the very beginning of my chess career. It was back in the 1983 in Vrnjacka Banja, Serbia, during Serbia Team Cup Finals. Upon completion of the game something unusual happened: my opponent taught me about the importance of a pair of bishops. I was impressed with the clarity and simplicity of explanation. Many years passed since that event, I played a lot of games and tournaments, and I became youth world champion and grandmaster. Each new encounter with the author of the book was a special experience for me; I always learned something new. The book “Chess School 2" comes at the right time. At the time when chess in Serbia is going through a deep crisis due to poor economic situation in the country, chess fans get a valuable work from which they can learn a lot. In the first part of the book which deals with minor piece endings the author, through a number of examples from recent practice, clearly and concisely talks about the plans in the game and principles which are characteristic of today's understanding of chess. At several places the errors in the assessment and analysis of some classic endings recurrent in chess literature have been corrected. The theory of combinations with the classification, which represents an original idea of the author to classify all combinations according to the piece sacrificed, occupies the central part of the book. The approach is completely new and to my knowledge a number of chess schools in the east and west have accepted this way of systematization of the material. In a moment of crisis of my chess career, when I was already an accomplished chess player, in order to make progress in the tactics I used the systematization of the material proposed in this book. After a while some positive results showed. The third part of the book that deals with the strategic motifs clearly shows that the book was prepared meticulously and thoroughly. The essence of this part lies in a new way of analyzing chess games, recognizing the key idea upon which its detailed explanation follows. Strategic motifs as "King in the attack," " Alekhin’s Battery ", "Petrosian’s exchange sacrifice," and others are all materials from which even more proficient chess players can learn. One can say many a word of praise about Slobodan Mirkovic as a chess coach. Apart from his three most successful students - grandmasters Nikola Sedlak, Bojan Vuckovic and Milos Perunovic, he worked with a few more top chess players from Serbia. In youth chess his students have so far won numerous first places in state youth championships and took part in several European and world youth championships. On the basis of his results Slobodan Mirkovic is the most successful chess coach in the country and his overall impact on chess in Serbia is huge. Finally, I would reiterate the opinion of some of my colleagues from the national team: "In a way, we are all students of Slobodan Mirkovic". What new material does this book offer? Rook endings are divided into several elements, in order to facilitate the study of this important segment of chess opus. Game plans are emphasized and principles and patterns are formulated. At several places the errors in positional assessment and analysis found in some famous chess books have been corrected. The second part of the book refers to the new theory of combination, which stems from Botvinnik’s definition of a combination. All combinations are classified according to the piece which is sacrificed and the purpose. The basic idea is that it should enable uncovering and identification of new principles of combination thus improving the quality of preparation. The third part of the book consists of two units. The first unit deals with three strategic motives and the essence lies in a new way of analyzing of games and identifying the key moment and its detailed explanation. For example, in this part we study "attack on the e6 square", "Passed pawn in the centre", "blockade of the center with pieces." A special place in this part of the book belongs to the cult Nimzowitch position from 1925 on the theme “Blockade”. The second unit features a whole new idea concerning the classification of middlegames. Middlegames are systematized according to pieces on the board. More broadly viewed, along the lines of this idea there can be a systematization of all positions in chess, which means that it is possible to more easily and quickly define the patterns of the game. This allows the creation of a new system of preparation of top players. Started playing chess at the age of seven. Since 1984 he has held the title of International chess master. He has taken part in a number of international chess tournaments. Since 1990 he has taken part in fewer tournaments and his predominant activity has become chess coaching. He is a FIDE coach and also international master of correspondence chess. As a professional coach of "Partizan" Chess Club he worked with young players of different ages in the period between 1988 and 1999. He is the architect and one of the founders of the School of Champions of "Rad" Chess Club which started its work in 1996. His students have won a total of 14 youth championship titles of Yugoslavia, Serbia and Montenegro, Serbia and 6 youth championship titles of Bosnia and Herzegovina. All the titles were won at the time when the author worked individually with the players. Of numerous students we should single out grandmasters Nikola Sedlak, Milos Perunovic and Bojan Vuckovic, who currently represent the most promising chess players of Serbia. Slobodan Mirkovic has systematized around five thousand games from the practice of world's top chess players and created a card file, which makes the basis for work with young players. He is the author of a classification of chess combinations, which has been a part of the information system of "Chess Informant" for more than 10 years.